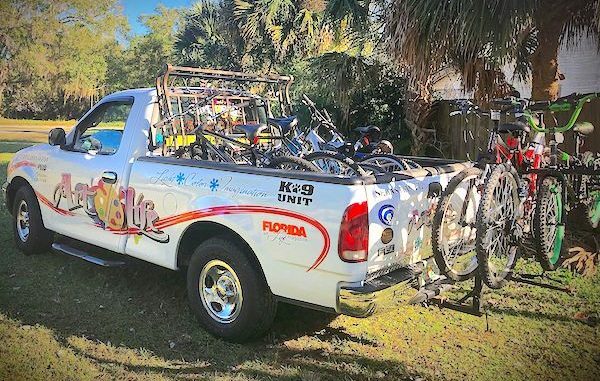 The Treasure Art Life Community Bike Program services from Cocoa to Port St. Lucie. 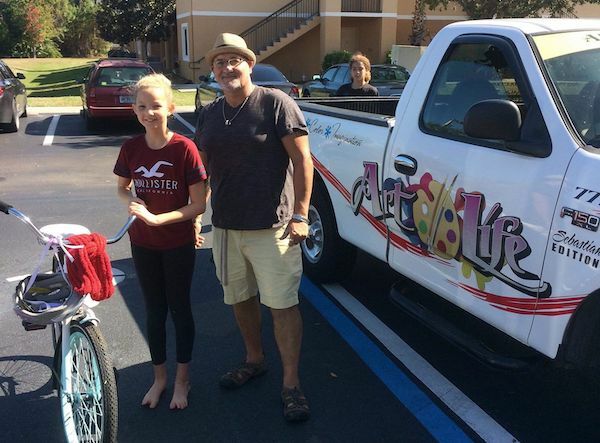 FELLSMERE – A man has donated his time to rebuild bicycles for children and people in need. Dan Turcotte began The Treasure Art Life Community Bike Program in Oct. of 2018. He services from Cocoa to Port St. Lucie. Turcotte said the program helps people in need get to work, to the store, the laundry mat, and other places. The bicycles also go to kids who have parents who cannot afford to buy them. 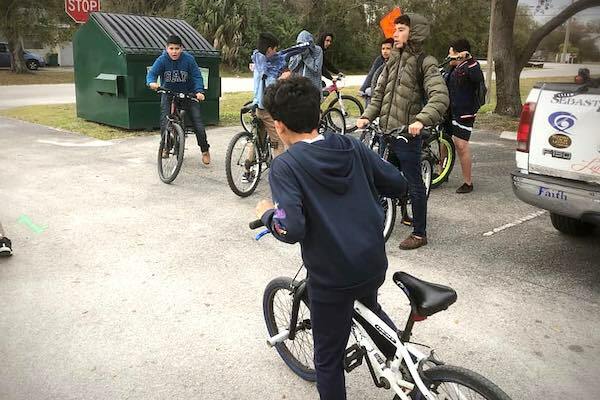 “I have placed 362 bikes since October, mostly adults, but over a hundred kids with bikes as well,” Turcotte told Sebastian Daily. “I have a trade up program for kids to keep them on bikes. As they get bigger they get new bikes. The other thing is it keeps them out of our landfills,” Turcotte added. The program’s primary goal is to get people in need, such as homeless, people from institutions, and rehabs back into the community in a positive light. “I use social media to get leads on bikes, I pick them up in any condition, if the bike is fixable I fix it, if not I part it out,” he said. The bikes are mostly donated, but Turcotte does buy a few. He has a repair service and sets up the repaired bicycles for adoption. The money made goes right back into the program. Bicycles for children when parents can’t afford them. “I also do painting and fundraisers two times a month at the Strike Zone and sell commission pieces of art. All goes into the company,” Turcotte said. The company is set up as a 501c3 non-profit organization. There are also testimonies to Dan’s work on his Facebook page. “Can’t believe the magic that Dan performed on my son’s bike. It was beaten up, rusted and unloved. Dan got a hold of it, and now it looks brand new and beautiful. It will definitely be loved again. Thank you so much Dan,” Kelly Beckert wrote. “Dan takes worthless bikes and transforms them into transportation for the needy! It is awesome,” Millie Del Grosso wrote. Bikes donated and fixed for the Fellsmere Boys and Girls club. “My girlfriend and I are trying [to start] over, and we’re struggling without transportation. I had posted a few bike frames that needed fixing and Dan came and picked them up, and traded us for nice working bicycles! This is a wonderful organization, and he’s a great guy that genuinely wants to help,” Michelle Jones-Wetzstein wrote.